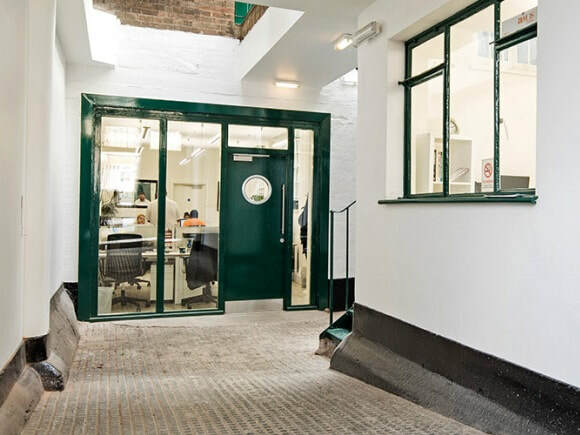 Cornwall Road office space is a wonderful period building that has been converted into flexible workspace. Situated a short walk away from Waterloo station, this building has a variety of office styles within including small suites and large open plan options. Broadband and telephony systems are pre-installed and furniture is provided in all units. With twenty-four hour access to the building, these office rentals also have storage for bicycles in the lower ground floor of the property. Security systems are also in place. For lunch breaks, companies can enjoy the use of its communal breakfast bar or the kitchenette that is stocked with tea and coffee. Rent terms for these managed offices can be either long or short-term contracts and suites are cleaned on a daily basis, which is included in the monthly cost.